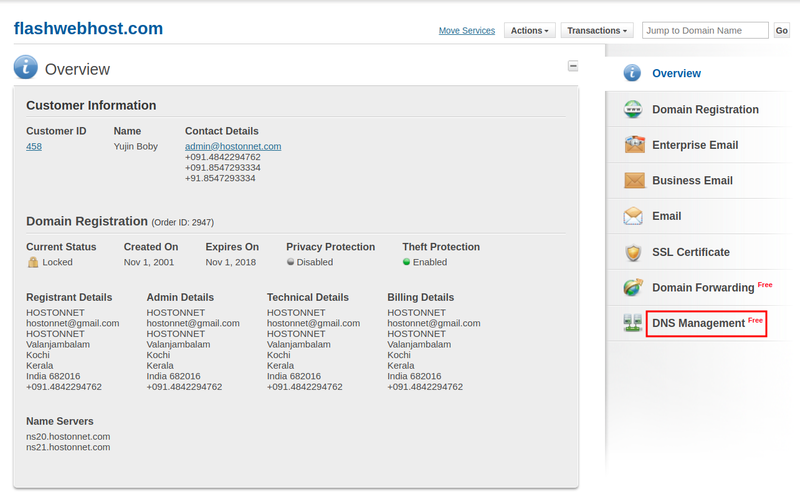 The first thing you’ll need to do to add a CNAME Record is to make sure that you are using HostOnNet.com’s default nameservers (ns1.hostonnet.com, ns2.hostonnet.com, ns3.hostonnet.com and ns4.hostonnet.com). 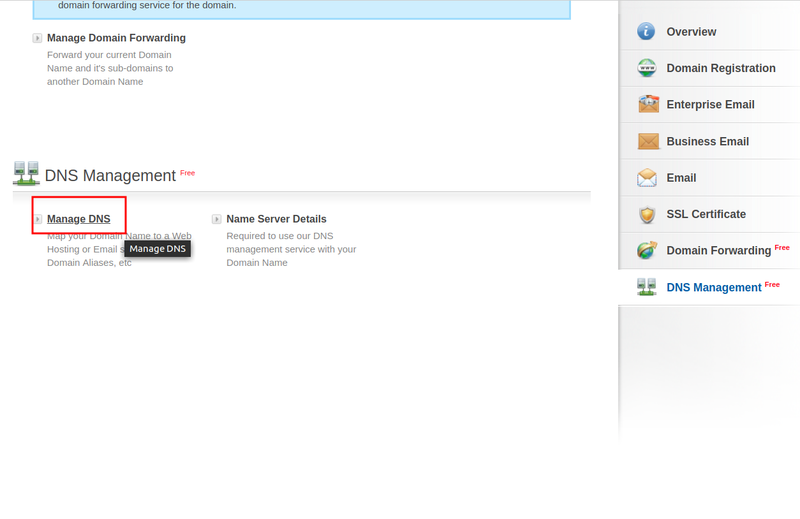 1) Login to your domain control panel. 2) From the top menu, click the ‘Manage Orders‘ tab, and select ‘List/Search Orders‘. 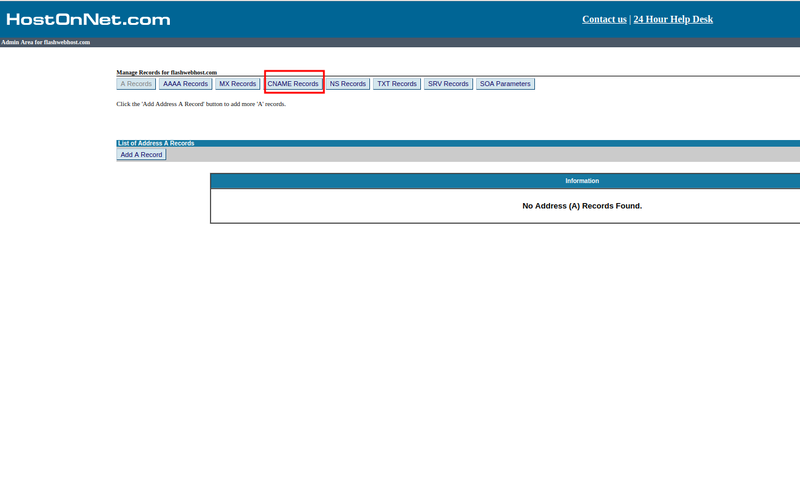 3) Click on the domain name you wish to create a ‘CNAME Record‘ for. 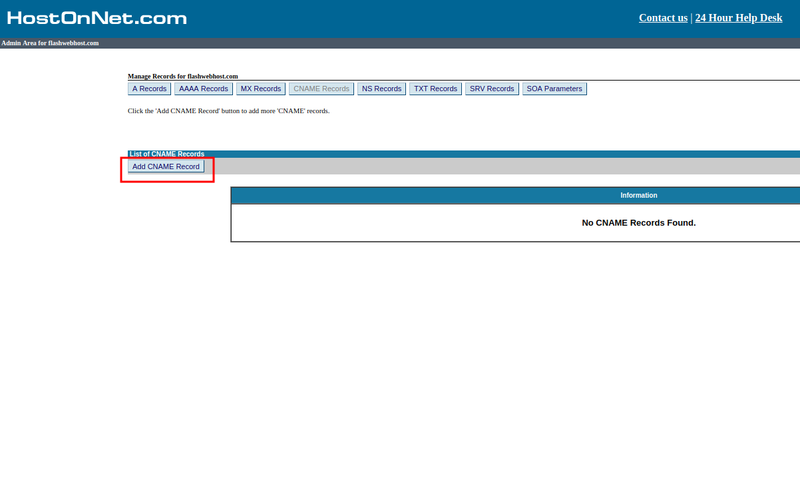 4) Click ‘DNS Management‘ on the right. 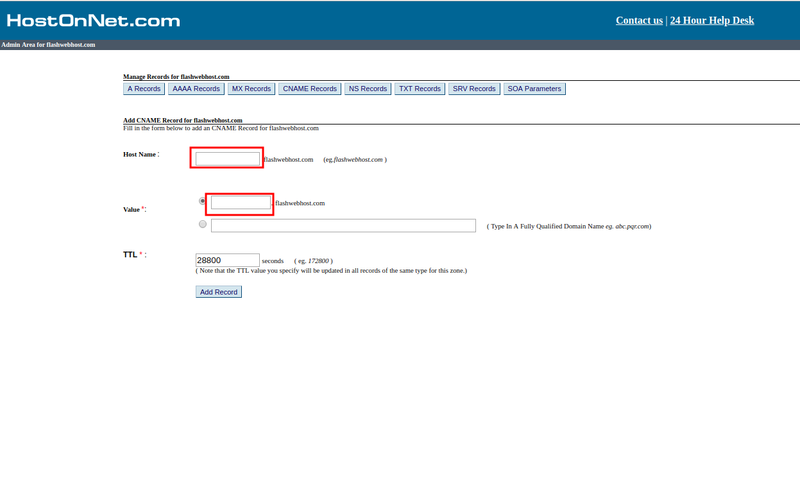 8) Then type your desired ‘CNAME Record’ name in ‘Host Name’ field and enter your custom value on ‘Value’ field.